Double End Tenoners type PAKUE F now offered with new option / extension for “Ungarian-“ resp. “French Herringbone" parquet. The machine is modified with 2 servo-motors for driving the feed chains and an extension of the feed chains for a special hopper feed unit. The cutting angle is fully adjustable between 30° and 60°. Standard and special machines for parquet production – Solid Parquet & Planks – Lamparquet – Mosaic Parquet and engineered flooring. Feeding, machining, grading, handling/automation and stacking. For all requirements of your Parquet production the best possible solution. Demo-machines and fully reconditioned 2nd-hand machines in top quality with 1 year warranty by the manufacturer. Here you find all our current offers. The highest quality and reliability of the machines were and still are the most important point. Due to this, only machines for the production of solid wood parquet - classical solid blocks with T & G, Lamparquet and Mosaic parquet - were manufactured over years. Only very few machine producers worldwide can state a similar high percentage of all ever produced machines, still in operation. 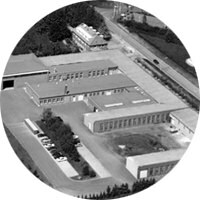 Since more than 25 years, machines and production lines for 2-ply parquet blocks as well as for 3-layer parquet planks are manufactured and offered. 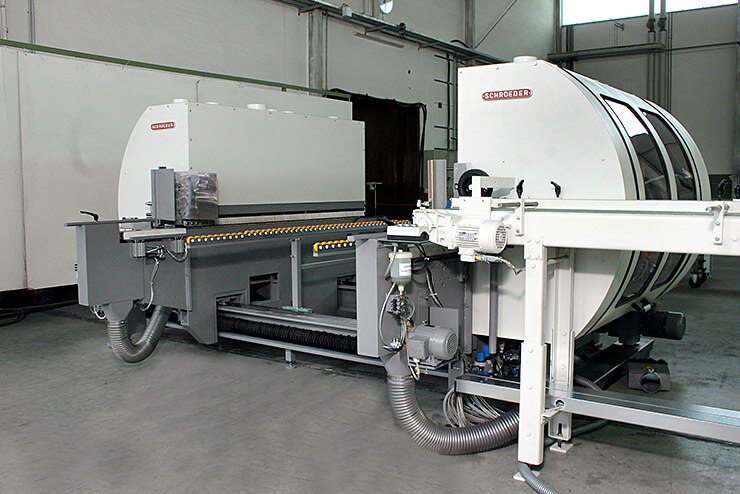 The high requirements regarding quality and reliability could be fullfilled by applying numerous prooven principles, combined with innovative solutions. 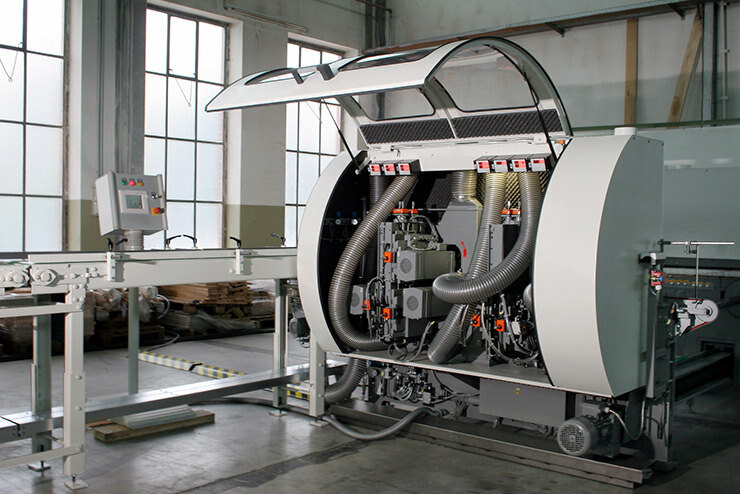 Today the product range offers a large variety of machines and production lines, many of them are presented on these sites. 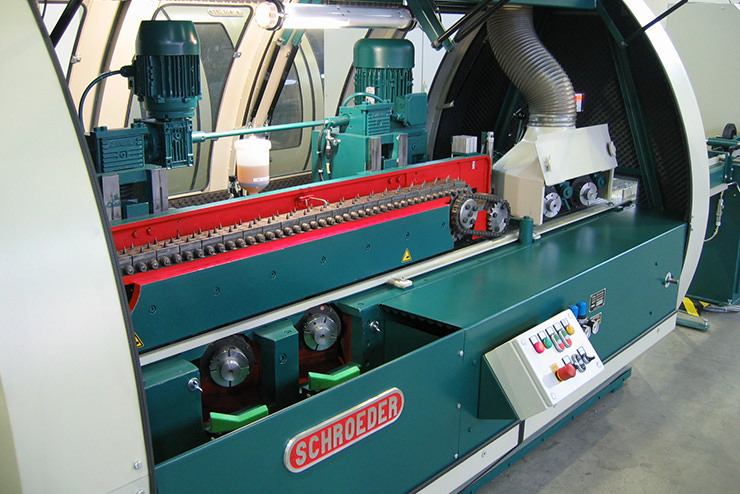 So far, the company is prepared for the future and parquet machines made by SCHROEDER are standing for quality and reliability as well as for innovation and progress.